I love targets $1.00 section! I mean... Who doesn't. When I saw these scratch and sniff puzzles I knew that I wanted to do something special and for a special gal in my life! My very first sweetheart- my mom! She loved it! So here is the walk through of how you can make one yourself! I will say that this takes a little bit of time given that somethings have to dry before you go on to the next steps. It's totally worth it though. Also if you don't have a puzzle you could totally stop at the glitter step! You'll also need paint if you choose to paint your frame. 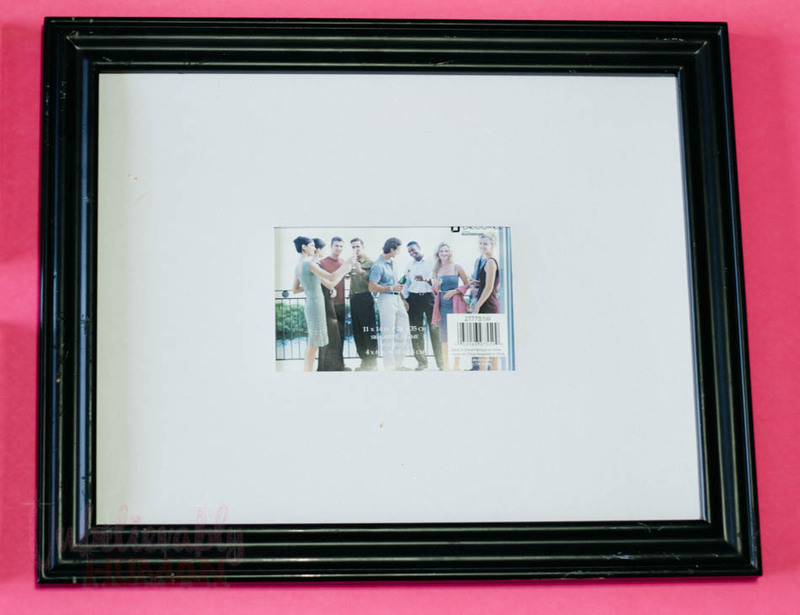 Once you have all your supplies, separate your picture signature board from your picture frame. Since most of this DIY is focused on the signature board. Take a pencil and trace a guide from where the board and the frame over lap so you don't have trouble with the frame and board fitting once everything is done. See what I'm talking about below. Once you have that done, mix your decoupage and glitter together and begin to paint it on your frame's board. I did 3 layers. Allowing for drying in between. This is coat number 2! Remember Decoupage dries clear. Hot Glue all the pieces to the photoboard. Hot Glue your pre-cut foam letters on where ever you choose and use sealant! that's my finished product! I think it's the perfect way to let someone know that you love them to pieces!! !